Small trendy dining tables can come in handy for compact dining rooms, dining areas in the living room or in the kitchen. Sure, if you have a big family, a small table is out of the question. However, single people and couples will appreciate compact 2 and 4-seater dining tables, featuring stylish materials and trendy designs. Yet, before you rush into the stores, try to define at least approximately what you are looking for. After all, there are so many small trendy dining tables to consider that the choice might prove tougher than it seems. Round – this is a perfect shape if you are not going to cram your dining table into a corner. Round tables look even more compact than they really are, and shape specifics offer flexible seating capacity. Sure, a 2-seater round table will not accommodate 6 people, but on some occasions it might be enough for three. Square – this is another neutral shape that might prove a useful addition to proportional square rooms. Sure, it does not offer the same flexibility as round table, but it features a classic, elegant design. Rectangular – and, of course, if you are looking for a 4-seater table rather than 2-seater one, you should consider rectangular tables, perfect for different environments. Wood – wood is one of the trendiest options to consider. Not only does it offer a timeless decoration approach, it is also incredibly trendy right now. Plus, there are so many genuine wood furniture in stores that finding something you like will not at all be difficult. Glass – glass small trendy dining tables look gorgeous both in traditional and vintage rooms. If your room has classic decoration pattern, go with transparent glass; if it is modern look you are going for, consider tinted glass – it comes in many different shades. High gloss – another incredibly stylish suggestion for modern rooms; however, you will need at least a couple of other glossy items to make the picture complete. Combinations – yet, some of the most stylish options you can go with are combinations of different materials. 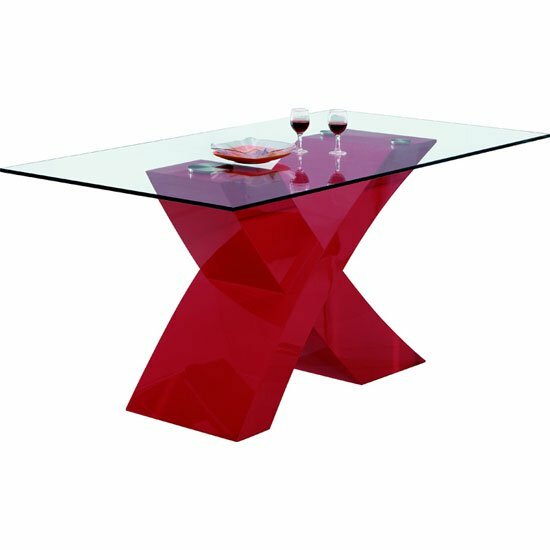 Glass table surface, for example, will look very impressive on a base featuring another material. Wooden base, for instance, will be perfect for mixed environments, featuring both modern and traditional elements. Chrome or high gloss will create a very modern impression. Wooden table surface can also be combined with chrome or glossy base to create contrast. Finally, do not forget that your choice of a store is incredibly important while looking for small trendy dining tables or any other furniture units you may need. Not only product selection, but also price range on similar items varies from store to store. A great example of a UK store that perfectly balances vast furniture selection and highly affordable prices on the majority of models is Furniture in Fashion . In addition, this is one of the few platforms that can guarantee quick delivery to any part of the UK and offer its prospective customers a possibility to visit their showroom in Farnworth.